Vladimir Chukov: Why go to the Arctic if you know nothing about it? An unassisted skiing expedition to the North Pole, an Arctic expedition from Russia to Canada and an international expedition to the Antarctic: all of these were organized and carried out by the Arktika expedition center of the Russian Geographical Society. Arktika President Vladimir Chukov told the website acrtic.ru about its history and the recent expedition to Taimyr. What is the Arktika expedition center and what does it do? The Arktika expedition center was established in the late 1970s by a group of hiking enthusiasts, who had made dozens of challenging trips in various parts of our country on foot, skis and bicycles, as well as rafting, canoeing and boating on numerous Russian rivers. In those years, we brought together a good team of like-minded people. In the early 1980s, we made a few expeditions to the Arctic and simply became obsessed with it. From 1982, the Arctic became a real magnet for us. To this day, we organize high-latitude expeditions to the Arctic each year. In the late 1990s, we made several expeditions to the Antarctic. In the 1980s, when we became members of the USSR Academy of Sciences Geographical Society, we were lucky enough to meet with some of the greatest polar researchers, scientists, air pilots and explorers. These were very interesting people: Ivan Papanin, Nikolai Urvantsev, Mark Shevelev, Sergei Kapitsa and Vladimir Shmidt, to name a few. Once, in an informal conversation, I told Papanin about our idea of organizing a public scientific/sport high-latitude expedition group, Arktika, at the Moscow branch of the USSR Academy of Sciences Geographical Society. Our main goal at the time was to organize the world's first unassisted skiing expedition to the North Pole. This meant that we would go to the pole without any air support, without the use of dog sleds or any other means of transportation, relying solely on our own physical prowess and the experience that we had acquired by then. Papanin was skeptical about our idea: How would it be possible to go to the Arctic without aircraft? I said that nothing was impossible. Of course, it was not going to be easy but it was realistic, and serious preparations were needed for the polar expedition. He liked our sense of purpose and said: "This is interesting! Write it up, and think about what to call it." I wrote it up and he liked it all. 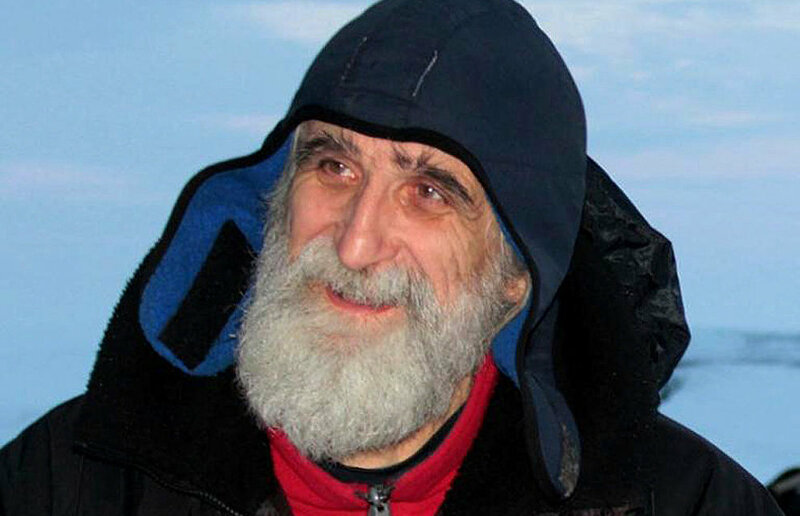 However, the official decision to establish the Arktika expedition group was made by the USSR Academy of Sciences Geographical Society Presidium in 1988, after Papanin had already gone. In the 1990s, your group skied to the North Pole. How did that happen? We had made several attempts — in 1987, 1989 and 1990 — but each time we had to call in air support, because the physical strain was too intense and people had to be evacuated. We had our share of trouble then. Of course, there were mistakes, but this was only natural, especially given that no one in the world had that sort of experience: how to move unassisted amid drifting ice, how not only to live on a drifting ice floe for over two months but also to be on the move for 12-14 hours a day. It was an uphill battle, especially since we did not have sufficient food supplies or reliable equipment or communication or navigation systems. We had to do everything with our own hands and we bore the entire responsibility. The expedition was completely unassisted? Yes, it was our principle to be completely on our own or, as they used to say back in those years, to do it the "alpine way." There was nobody around to answer our questions. There was nobody who had any experience not simply in spending the winter on an ice floe but in traveling for a long time, while carrying out a certain task. All we could do was study the diaries of the classics: Fridtjof Nansen, Roald Amundsen and Valerian Albanov. However, the experience of explorers from the late 19th-early 20th century provided no answers to our questions. Moreover, there was no one to look to for advice or recommendations, and no one who had lived in the Arctic, not simply sitting in place, waiting for an airplane to arrive, but who was constantly on the move. It was not until 1994 that the eight of us finally made it. We set out, the eight of us, and we finished, the eight of us, and there was not a single contact either with other people or aircraft or anything. 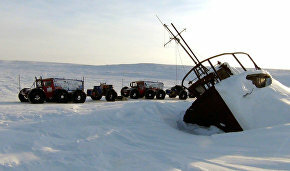 It was for the first time in history that a group of skiers reached the North Pole unassisted. We reached the pole and still had a large reserve of energy and strength. Then, in the course of training, we wondered if we could make an unassisted expedition from the Russian shore to Canada. At that time they thought we were crazy. In 1995-96, we went to the Antarctic, in the direction of the South Pole and in 1997, we conducted a rigorous training exercise on the ice of the Baidarata Bay in the Kara Sea, rehearsing the technique of moving amid hummocked ice and surmounting water obstacles and building a team. In February 1988, our group of four people set out on a trip from Russia to Canada via the North Pole. And we made it on our first attempt. Sure, there were mistakes in calculations. After all, it's a double-edged sword. On the one hand, we could take more cargo to feel more confident, but on the other, at the start, we were carrying about 200 kg per person at the very least. We assumed that it would take us 110 days and took whatever we thought we would need for 110 days. We finished on the Canadian coast on the 118th day, June 20. Thank God, GPS was already available at that time, so we did not need to carry astronomical instruments, and we had a decent portable army radio. Nevertheless, we had to set up a radio support base on Sredny Island on Novaya Zemlya. Our radio operators had to be on standby on our air frequency almost around the clock and they had to be top-class specialists to operate reliably and hear our 5-W shortwave station. We had two boys sitting there for two months while we went to the pole. By 1998, almost everything in the Arctic collapsed. There were neither drifting stations nor Arctic aviation, nothing. We were also in radio contact with Barneo, but they left in early May. We were about 50 km shy of the pole when they said the season was over and they would fly to the mainland in the morning. We were on our own near the pole and we could not count on any assistance in a critical situation. The pilots wished us good luck and flew away, and we moved on. For almost a month we were off the radar. I asked those pilots from Barneo to pick up our radio operators when they flew over Sredny. What was the point of staying on the island when they could not join us anyway? So they were evacuated and that was it: no communication and nothing around except the Arctic. Nevertheless, we continued to go on the air on our frequency. A few days later, there was a response from Franz Josef Land. A radio enthusiast working on a polar station on the Heiss Island became our only link to the mainland for a long time. The Canadians acted strangely. There was complete silence on their end. Our people in Moscow helped us out there. They got in touch with Canada on the telephone, and when we were very near, they announced officially that we expected to be evacuated from Ward Hunt Island to the village of Resolute. In short, we made it! When did you go to the Antarctic? We decided to organize an international expedition to the Antarctic in 1999 to meet the new year of 2000 at the South Pole. We conducted many joint programs and expeditions in the 1990s. One of them was "Rainbow over the Pole" in April 1992. During this expedition our group parachuted onto the Pole for the first time and installed a Russian flag there. Our friends had long dreamt of parachuting onto the South Pole, because nobody had done this before. Our Russian jumpers got a lot of attention — they have a wide circle of contacts. We used our radio enthusiast channels and they used their parachute, tourism and aeronautical channels. In all, 88 people from 18 countries took part in the expedition and we had to turn down some volunteers. It all went very well. So many things were done for the first time in history! Thanks to our expedition, an Il-76 heavy military transport landed in the Antarctic on an unprepared site without any airfield. There is a 5-6 km long blue ice rink on Patriot Hills, a natural surface that can be used as a landing strip. We made a large-scale drop landing on Patriot Hills, a march to the South Pole on all-terrain vehicles and raised balloons over the pole, and much more. You have recently returned from an expedition to Taimyr. What were your goals there? This trip was a continuation of all of our activities in the Arctic. We make new vehicles for each journey — sometimes we succeed but not always. We recalled our old vehicles, which we had driven for eight to ten years — we sank in them and rose to the surface again. They are called Hummocks. So we put them in order and decided to check how different they were from those we made in the past few years. We planned to visit the northeast of Taimyr, where the relics of seafarers were found by accident in the 1940s. These seafarers navigated from the west to the east in the early 17th century (1617-1619). They made their journey 150 years before the Great Northern Expedition ordered by Peter the Great, before Semyon Chelyhuskin, who discovered the northernmost point of Eurasia, not to mention Otto Nordenskjöld and Roald Amundsen — the journey took place two and a half centuries before them. Experts know these facts and there are several books on this subject but I think it is important for the public at large to know about this. After all, our ancestors made this journey along the Northern Sea Route almost 400 years ago, and we should be aware of this achievement. We did not want to make a linear route, to simply reach our destination and return. We wanted our route to be logical but more interesting, especially since we had young guys among us. So we decided to move by sea along the coast, then stop for a couple of days to work, and then head south along the coast, towards the Laptev Sea in the direction of the Khatanga Gulf, and thus to go around the entire Taimyr Peninsula. We took off in Novy Urengoi, went to Dikson along the Yenisei River and then moved along its northern banks to Cape Chelyuskin. Moving in the tundra we saw the world's northernmost mountains: the Byrranga Mountains. We came back along the northern spurs of the Putorana Plateau, one of the most beautiful places of Russia's Far North. Our main goal was to reach the shores of the Simsa Bay, and the Northern Faddey Island. We found everything we wanted to. We found the places where Academician Alexei Okladnikov stayed and about which he wrote upon returning from his 1945 expedition. We made a small staging post there. We had a metal detector with us, not in order to dig up anything — only experts should do this — but to determine whether there was something under the stone. So we walked with the metal detector and it was ringing all the time! Many things were found during Okladnikov's expedition, including more than 3,500 silver coins, hammered ironwork from the late 15th to the early 17th centuries. Coin collectors managed to determine the time when this Taimyr treasure was formed, and hence, the time of the journey that tragically ended off the northeastern shore of Taimyr Island. This is all very interesting. This is our history. I think we should organize a new archeological expedition to these places. In recent years, Arctic exploration has been considered a priority. As a seasoned polar explorer, to whom will you pass the knowledge you have amassed? Throughout all my work in the Arctic I was battering at the doors of the Defense Ministry and the Emergencies Ministry, telling them we should learn to live in this region — not to survive or sit in a heated cabin and wait for a plane to pick you up. People should take action themselves, despite bad weather or snow storms. Sorry, but this is what the Arctic is about. This is normal weather in that region and it cannot be otherwise. There must be a category of people who are able to function there in any weather, day or night, even during snow storms and frosts of minus 50-60 C.
At first they brushed me aside but during perestroika the Arctic came to the fore of attention and they remembered me. I was invited by the Defense Ministry to share my experience. I'm now also a specialist on survival in the Arctic in the Expert Council of the Emergencies Ministry. I suggested the ministry should send one or two people to my team so they could learn about the Arctic not from books, television or lectures but from first-hand experience. This time a man from the Emergencies Ministry went with me. Recently employees of the same ministry came from St. Petersburg University. At their request I compiled for them a program for training rescue workers in extreme Arctic conditions. As for travelers, why go to the Arctic if you don't know anything about it? You can be cold somewhere else, without spending a crazy amount of money and subjecting yourself to such inhuman conditions. It is necessary to study history because it gives you a motive to study the Arctic. You should understand why you need to go there. That's how I explain it to the younger generation. Every stone in the Arctic has its own history. Now we are trying to involve young people in Arctic studies but this is not so simple. We must have the right educational system and should start with children. When I meet with them I can see enthusiasm glow in their eyes. They want to do something real but they don't have any opportunities. This is how respect for the history of the homeland develops. The Arctic and the Far North occupy more than half of Russia's territory. They are everywhere: in schools and children's homes in Moscow and other cities. I always go if I can. I've been to Kargopol, Arkhangelsk, Ryazan and St. Petersburg. I tell children about the Arctic and show them pictures. During the recent expedition we stopped everywhere there are children, in Dudinka, Dikson, Khatanga and Novorybnaya. We stopped and showed them films. I was struck by the local history museum in Dudinka. It's simply a palace, with automatic control of temperature and humidity. I think paintings from the Tretyakov Gallery could be shown there. Everything is done with a view to the future; the museum is supposed to expand although there are little more than 24,000 people in Dudinka. We found pictures of our expeditions in the 1980s in the museum. And the museum has wonderful employees. They all love what they are doing and their northern lands. There are scientists and merited historians among them. So where are you going next time? We'll think of something. Next year we'll celebrate the 60th anniversary of Antarctic exploration. I'd like to plan an expedition to the Antarctic for 2016-2017. But the Arctic is closer to us. We'll meet in summer and work this out.